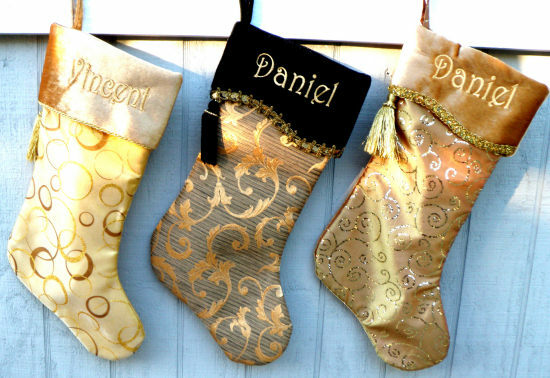 Gorgeous Black Gold Designer Personalized Christmas Stockings. We have other similar designs so you can create a holiday design set. 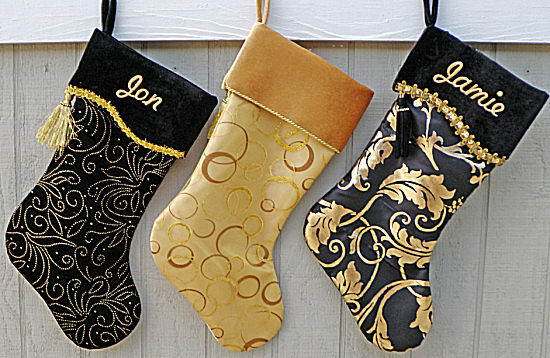 This designer stocking sold out. The name is machine personalized in gold metallic embroidery. 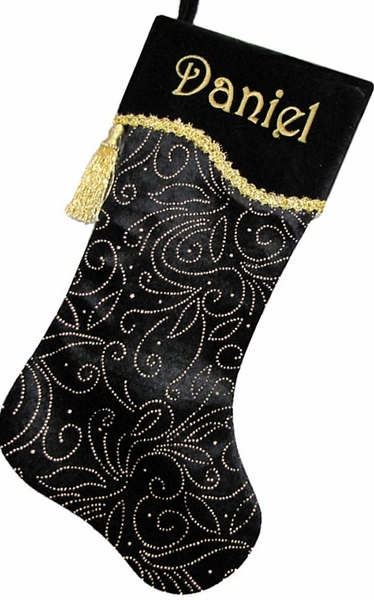 Measurements: These designer gold black Christmas stocking measure 18.5" long along the diagonal from the top of the cuff to the toe; and the width across the cuff is 7". Materials: Embossed black velvet design body with black velvet French curve cuff, trimmed with sparkling gold metallic ribbon and tassel trim.